New design tool on Creative Market. We were so happy with how the Volume 1 and Volume 2 turned out we created another one. 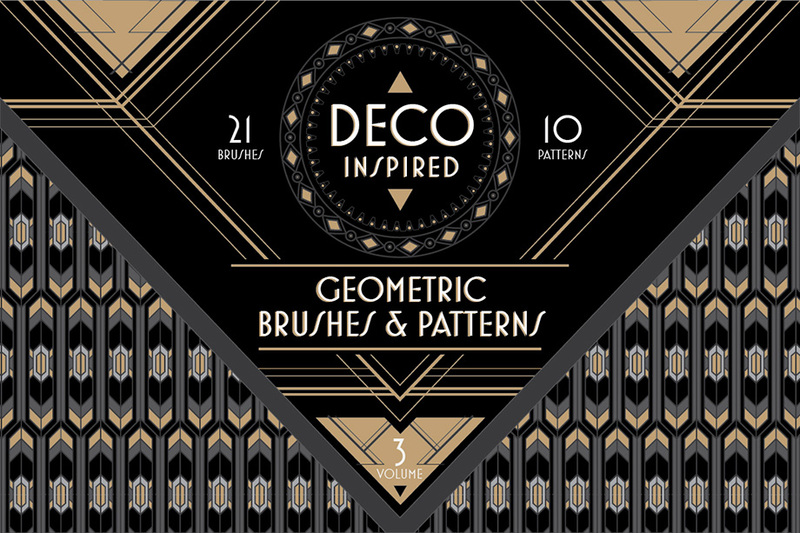 Introducing the Deco-Inspired Brushes and Patterns pack, Volume 3! 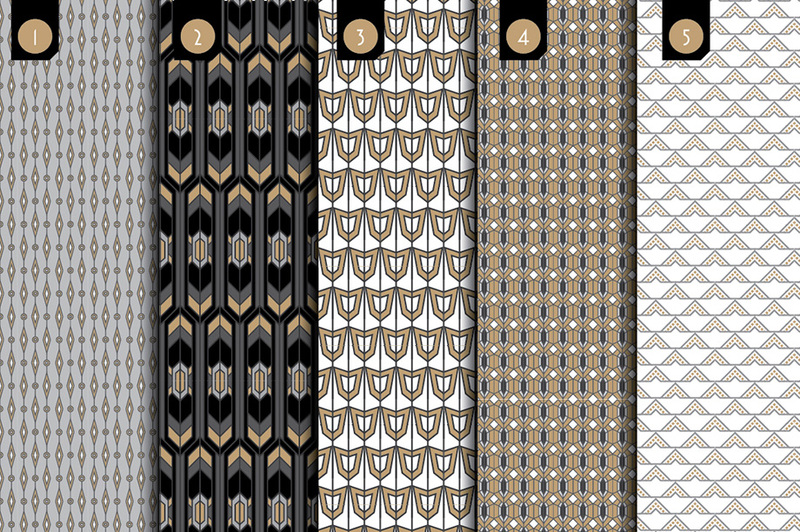 Inspired by architectural elements from the Art Deco era, we created a vector pack that gives you the ability to easily create borders, divider elements, tileable pattern backgrounds and whatever else might spark your imagination. 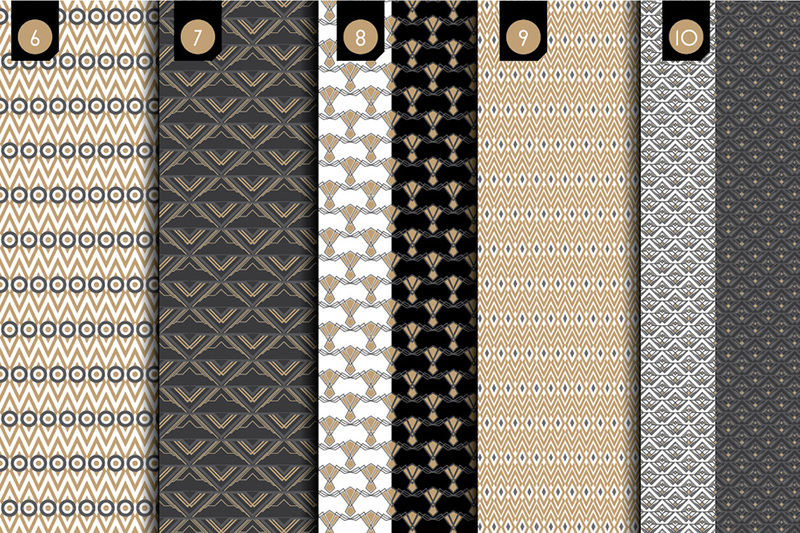 This is a full set of colored and black-and-white vector pattern brushes to use with Adobe Illustrator. The last slide shows the brush number as well as the individual element used so you can easily edit the color version or add your own touches before adding it back to your brushes palette. For the brushes you can scale the size using the “stroke” palette or when using the scaling tool. Just be sure when using the scaling tool to have the “Scale strokes and effects” box checked. The patterns are fully tileable so if you need something poster size you shouldn’t have any problem. **Please note while I’ve checked the CS3 files, these were created in CC2015, so its best to use these files with the most recent version of Adobe Creative Suite Illustrator.